Dr. Michael Sternschein is proud to offer the acclaimed non-surgical lifting procedure! 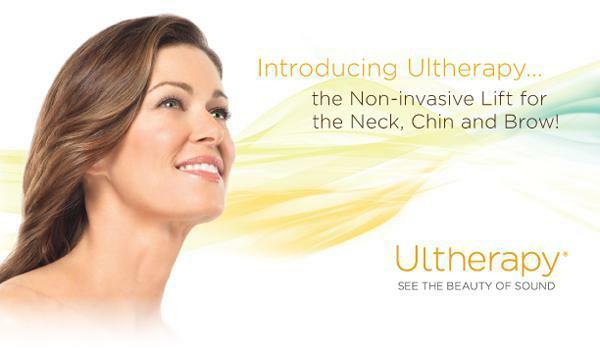 Ultherapy is the only FDA-approved non-invasive treatment for lifting skin on the neck, chin and brow. Ultherapy uses focused ultrasound to stimulate collagen deep within the skin without downtime. The result? Tighter, better-fitting skin...even on the neck! Many patients ask me “what can I do to make my face and neck look better?” Of course this is a very general question so I try to organize their thinking and my response. I usually divide my assessment into three catagories: skin surface problems, sagging or drooping issues, and volume disorders. Skin surface problems include: sun damage, pigmentation, fine line and wrinkles, surface irregularities, acne scars, and red spots. “Resurfacing” is required for these conditions and is usually done with lasers, dermabrasion, peels, and skin care products. These treatments do not significantly tighten the skin or tissues. Sagging and drooping is usually evident in the following areas: jowls, cheeks, eyebrows, eyelids, and the neck. As we all know, unfortunately, drooping is a major part of the aging process. These conditions are best treated by surgical lifting procedures (e.g.-face lift, brow lift, neck lift, eyelift). Surgical procedures will result in the most significant improvement. There are also some non-surgical lifting techniques using ultrasound (e.g.-Ulthera) or radiofrequency (e.g.- Thermage) to stimulate contraction (tightening) of the tissue. The non-surgical lifts will result in much less lift but are less expensive and have less down time. Recently, the significance of volume loss in the face has been recognized as a vital cosmetic issue. Aging causes downward movement of facial fat. Cheek fat will descend causing puffiness along the jaw (jowls), cheek depressions, and indents under the eyes (tear troughs). The fold from the edge of the nostril to the corner of the mouth (Nasolabial Fold) will deepen. Folds at the edge of the mouth will deepen. These conditions can be treated with fillers that are injected to replace lost volume. There are commercially available fillers (e.g. Restlylane, Juvderm, Radiesse) that can be injected in the office in just a few minutes. These fillers last 6 months to one year. Your own fat can also be used. This is a slightly more complex and expensive procedure but usually lasts quite a bit longer (2-5 years or more). In some cases, volume may need to be removed, particularly in the neck. Usually liposuction is used for this. Of course each patient has different combination and severity of problems. If this sounds a bit complex and confusing - it is to the untrained individual. The exact nature of each person’s issues needs to be assessed during a consultation by a legitimate BOARD CERTIFIED PLASTIC SURGEON. A PLASTIC SURGEON who has the training and experience to do allof these treatments is the best doctor to determine the options that are appropriate for you. When done appropriately by skilled, board certified, artistically trained doctors, fillers and Botox® administered in the office are simple, safe, 10-15 minute treatments that can significantly refresh and rejuvenate the face.